First, I would like to thank those who helped compile this information. The first question posed to PIA (President Isayas Afewerki) during his most recent interview was about his health. PIA told us that his health had never been in better shape. We will leave his health to his Qatari doctors, but it is our precious country that has high blood pressure of 200/110. 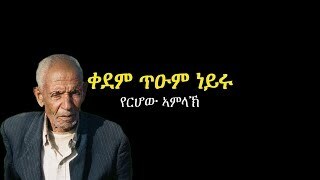 Despite PIA’s embarrassing rants with external reporters, PIA recent interview shows that he remains mastermind in connecting with his audience with his fake sincerity about his understanding and concerns with the average Eritrean who must survive on 450 Nfa a month. He is implementing every psychological warfare on the population based on dictator’s manual. It is said, ‘you can fool some of the people some of the time but you can’t fool all the people all the time.’ Sometimes one wonders whether this guy is an illusionist or delusional. What PIA has conveniently forgotten is a simple question, are people better off today than ten or twenty years ago? The answer can only be, absolutely not! Why not? The disheartening part is that the country is on a downhill skid based on every measuring yardstick. Wealth-creation vs. wealth distribution: PIA’s hangover with communist ideologies of a century ago that every communist country has abandoned is being recycled in Eritrea. PIA can’t be ‘more Catholic than the Pope’. Soviet Union, China and others have abandoned PIA’s ideologies of yesteryear. PIA keeps harping that wealth and services should be equitable in Eritrea and thus lamely justifying his oppressive rule. This is North Korean leaders telling the world that they have achieved ‘equity in poverty’. In today’s world, wealth creation has become an almost exact science while wealth distribution remains a vexing problem. But no one argues that wealth needs to be created before it is distributed in a manner that allows the vast majority of the population to pursue decent lives, albeit not necessarily in absolute equitable manner. PIA’s governing philosophy is tantamount to putting the cart before the horse. However, PIA’s mixed up governing principles do not solely emanate from misguide beliefs, but more so out of inherent human weaknesses – vanity, vengeance, egotistical, power and legacy. When human weaknesses are combined with misguided policies, toxic reactions take place. This guy needs his vindication against the G15 who are accused of undermining national security for demanding the rule-of-law and PM Meles Zenawi who has been outplaying him for the last ten years. In my view, PIA remains a hero of our independence struggle. But heroism is shared among the 100,000 that sacrificed their lives for the same cause, another hundreds of thousands of Eritreans that fought for it in various ways, and generally the Eritrean people. PIA doesn’t get any blank cheque to run the country as his personal fiefdom. The State of Eritrea isn’t PIA Inc. In 480 BC, Greek city-states under the leadership of Themistocles fought and won against the much superior Persian Navy (i.e. sea battle) at the battle of Salamis. As Themistocles became stronger over the years, the Athenian used their annual vote to ostracize their hero, who then ended up working for the very the same enemies he defeated, the Persians, as an administrator until his death. Ostracism was a procedure under the Athenian democracy in which any citizen considered or perceived to be too powerful could be expelled from the city-state of Athens for ten years. The primary purpose of a Constitution is to put limits on the power of governments. Twenty years later, Eritrea doesn’t have a Constitution upon which it can hold its government accountable. Transparency and accountability of government is non-existent. Laws, regulations and administrative directives are issued at the whims of PIA and its cohorts. Twenty years later, the social-economic progresses are dismal. More infrastructures and other major projects were either underway or implemented between 1993 and 1997 than 1998 to 2011. The country hasn’t been able to generate any income that allows average Eritreans to lead normal lives. Whenever confronted with the fact that Eritrean socio-economic performance has been negligible, PIA fans resort to the need to protect ‘national sovereignty’. No one knows why Eritrea is in perpetual undeclared State-of-Emergency despite the fact that no external ‘Clear and Present Danger’ exists at this point in time. Min. Haile Drue said in 2000 that we should return to building a strong Eritrea while keeping an eye on external threats. Instead, PIA has fixed both of the whole nation’s eyes on non-existent threats simply to prolong his grip on power. When there is no transparency in how laws are formulated, when the population isn’t included in the process, it can only mean that the absolute ruler can pass any laws at his whim. No one can deny that PIA is above the law, and in such a case, the leader isn’t a president but an Emperor or Pharaoh. A nation’s decline is most judged based on how pervasive and worse corruption is getting. As the saying goes, “when a fish stinks, it starts from its head”. Of all the measuring yardsticks, corruption is the clearest manifestation of how far PIA will go to destroy everything in the country in order to maintain tight grip on power. In another interview sometime in mid 1990’s, PIA told us that corruption in Africa is rife because civil servants aren’t paid salaries commensurate with cost of living. In classical PIA modus operandi, he then proceeded to create a corrupt society in Eritrea. CORRUPTING PRACTICE 2: ARMY OFFICERS are encouraged to build their own houses using army trucks, Warsai Yikealo servicemen and material acquired from army projects. Nothing has been done to persecute these army officers despite of establishing Special Courts specifically for these purposes. Nothing has been done because it is a deliberate PIA policy. CORRUPTING PRACTICE 3: ARMY OFFICERS are allocated special licences to import necessities such as sugar, flour, cement and other critical items. These are usually one-time licences as each army officer must get its turn. The typical scheme is that an army officer walks to the Ministry of Trade and is issued a special permit to import, say, a ship load of sugar. The soon-to-be rich officer takes the licence to Housing Bank and borrows the entire amount to open a Letter of Credit. After acquiring the licence and funds from bank, the officer goes to local merchants and sells the entire ship load of sugar without even taking delivery yet. In one-day, with one-time licence issued, each officer makes upward of Nfa 2 million of pure profit. The Generals get even bigger share of the income. CORRUPTING PRACTICE 4: SPECIAL COURTS which are presided by army officers with no legal backgrounds but a lot of ambition for quick money, and defendants who don’t have the rights to appeal. There are no criteria which crimes are to be heard in Special Courts, no accountability and no transparency how these courts are managed. As a result, it is a kangaroo court for corrupt individuals and army officers to advance their private agenda of enriching themselves while depriving innocent citizens of their basic rights. CORRUPTING PRACTICE 5: ARMY OFFICERS are responsible or the major benefactors of the human smuggling business in Eritrea. CORRUPTING PRACTICE 6: Not to be left out PFDJ/LOCAL ADMINISTRATORS in various zonal offices are allowed to confiscate private assets, levy fees and charges, collect Nfa 50,000 from families whose children have left the country “illegally”, without issuing official receipts or ever being required to account for it. Usually no official receipts are issued, and those who request for official receipts are usually threatened with even more severe penalties. CORRUPTING PRACTICE 7: Similarly, PIA REPRESENATIVES ABROAD are allowed and tacitly encouraged to dip or skim into the required 2% paid by Diaspora Eritreans. The above examples are just few of the most glaring corrupting practices allowed and nurtured by PIA in order to maintain tight power grip on Eritrea. A CORRUPT NATION IS A NATION ON THE DECLINE! IT IS SYMPTOMATIC OF A DECAY! Note: under normal practice, one only gets ‘F’ for failure and that adding ‘+’ or ‘-‘ to ‘F’, i.e. F+ or F- is meaningless. If one has failed, then one has failed. In this report, the addition of ‘-‘ or ‘+’ indicates extreme failure ‘-‘ or soft failure ‘+’. Similarly, the use of multiple Fs, i.e. F, FF, FFF, FFFF signifies the severity of the failure. In general, PIA’s regime has failed Eritrea in every measuring yardstick to evaluate the social and economic welfare of not only the past and current generations, but also the future generations. There are some token projects undertaken by the same engineer, doctor, lawyer and account, who also happen to be the president-for-life of the country. There are no open discussions if alternative solutions exist to address vexing questions because in Eritrea there is only one Guru with the ultimate wisdom to lead the country into the glorious year to come. O the exalted one, may you live forever lest we get destroyed without you! Eritrea isn’t without a glimmer of hope. The series of symposiums held by the various ministries and zonal administrations to publicize the achievements of the last twenty years indicate one trend – most of the major projects were undertaken between 1991 and 1998 when the G-15 and EPLF/PFDJ had some life in it. The major blemish of the G-15 is in allowing PIA to establish Special Courts in 1996. • 2001/Sep – 2011 (PIA era) – mostly ‘F’ – as this report card will outline and as PIA himself admitted (10% achievement rate) are total failed years. To put numbers into PIA socio-economic development myth, interested individuals can examine the statistical data provided by the “ministries” in the various SYMPOSIUMS held recently in Asmara in preparation of the 20th anniversary of independence. The expenditures reported by the ministries and zonal administrations overlap. For instance, assistance given to martyr’s families is reported as an aggregate by the ministry responsible for social affairs, and also again reported by each region as assistance given to their own zones. The total cost of projects undertaken in each of the six region is anywhere from Nfa 2.5 billion to $5.5 billion in the last twenty years. Accepting these unverified data at face value, the total expenditure on various infrastructure projects, programs and others is about Nfa 24 billion. At an average of Nfa 25 per USD, this works out to about $1 Billion USD of projects in 20 years, which is $50 Million USD per year total. One can’t even buy one football player with that amount anywhere in the Western world. 70% granted by donor nations and organizations, such as WHO, FAO, UNESCO,UNHCR, EU, Cooperation D’Italia, Danish International Development, Norwegian Development Agency, EU and many other. Only $300 Million over 20 years, i.e. $15 million per year, can be accounted to PIA’s efforts. Most of the international grants were received between 1991 and 2003 when Eritrea had some working relationship with the above international organizations. Most of these organizations have withdrawn from Eritrea. 80% of the all the projects reported at the recent 20th anniversary symposiums were undertaken during the G15 era (1991 – 2001). Most of the economic activities in Eritrea from 2001 to 2006 were private housing projects. After the banning of private construction companies in 2006/7 due to sever hard currency problems, the only economic movement in the country are a couple of dams in Gulij area and mining. It is important to compare PIA’s performance against PM Meles Zenawi’s (PMMZ) performance, as they share the same background, same beginning to power, shared ideology at one time and same time in power. By measuring yardstick, PMMZ should have had a much harder time governing 10 times the population with strong Shewa Amhara opposition, being from minority group, etc… In reality, it is PIA that is stumbling. On a per capita basis, Eritrea’s overall infrastructural capacity is equal or even better than Ethiopia’s. Electric power per capita is about equal, road infrastructure is better in Eritrea as well as potable water. However, Eritrea’s infrastructure was mostly built by the Italians and during the G15 era of 1991 – 2001. In judging or benchmarking Eritrea’s performance vis-à-vis Ethiopia, we look at TRENDS which is a better predicator where both countries are headed and what their performances will be five and ten years. If trend is the basis for assessing performance, Ethiopia is performing Eritrea handily, and that Ethiopia will be far more advanced than Eritrea in about 5 to 10 years by all accounts. Both on per-capita basis and absolute dollars, Ethiopia has been investing significant more than Eritrea for the last two decades. At this juncture in time, the Ethiopian per capita achievements are still comparable to Eritrea’s because Ethiopia has 80 million population and growing at faster rate than Eritrea, and second, Ethiopia is starting from a much lower infrastructure capacity than Eritrea. But Ethiopia will surpass Eritrea by all accounts on per capita basis in the next 5 – 10 years if unless Eritrea changes its destructive course immediately. Private sector used to be much developed in Eritrea. However, while Eritrea has shut down the entire private sector, Ethiopia has encouraged the private sector to share in the growth the country. Sheik Al-Amoudi alone has invested three-times as much in Ethiopia as PIA has done in Eritrea in absolute dollar terms. Transparency and accountability in Ethiopia is infinitely better than Eritrea. Public budgets are announced, Central Bank manages Ethiopia’s hard currency properly, including auctioning it, laws and legal system are relatively more transparent, and parliament exists and meets regularly while parliamentary proceedings are televised. Respect for human rights and political freedom in Ethiopia is infinitely better than in Eritrea. PIA’s propaganda against Ethiopia’s freedom is just a sign of jealousy. Ethiopia’s stance in the world and diplomacy is in keeping in its own long-term interest. PIA dismisses that PMMZ’s acts are simply showmanship and has no substance. But politics is all about showmanship and PMMZ is a master at it while PIA must indulge in blatant lies to convince us why we are better off than Ethiopia. Not tolerated at all. Any gathering over 7 is banned. EPDRF, TPLF meeting are held as per organizational rules every six-month to one year consistently. à Central Bank, Budget, etc..
Unbalanced development projects focused on PIA’s pet projects. No development partners. Significantly better respect for human rights and rule-of law. There is room for improvement. Absolutely none in Eritrea. One person decides the fate of the country. Governance and administration capacity being improved through capacity building activities. Conflict of Interest for civil servants instituted last year. Most projects between 1991 and 2001, slowed down to snail’s pace after 2007. Still long way from achieving integrated infrastructure programs. Effort, however, has been above average. Even when benchmarked with Italian colonial era, the Italians had within twenty years (the other years being discovery and preparing for invading Ethiopia) had undertaken more projects with less capital, rudimentary technology and far less human resources. The Italians built many successful factories (Melotti, Baratolo, Cigarette, etc…), Dams (Foro, Ghaitelai, Beleza, Gulij), agricultural and fruits exports, while building road infrastructures across the country from scratch, train line from Massawa to Agordat/Aderde, telefrica, port facilities, and many more. PIA’s ostensible justification for depriving Eritreans of their basic rights is to build infrastructures needed to launch Eritrean economy, and hence people’s fortunes, based on solid foundations. PIA tells us that his economic principles, which don’t exist in reality but are for propaganda consumption only, is that infrastructure and self-sufficiency are critical to developing the country. In principle, no one disputes these. But judging the pace of infrastructure projects, esp. the last ten years, economic progress is forging ahead at snail’s pace – turtle’s pace is too fast. It doesn’t take 300,000 Warsai Yikealo and 10 bulldozers with 25 trucks a whole ten years to build a couple of dams and a couple of hundred kilometres of roads. Any project, however useful it may be, that takes forever to complete can only be look busy project. Warsai Yikealo is now a dirty word, and now that PIA has stopped using it, all its media and lackeys have received their cues and have stopped using it too. State projects of the last ten years are not more than Nfa 10 billion the last ten years. PIA hardly mentions electricity as a key component of infrastructure, rather emphasizing only roads as if it is the only important factor in national growth. PIA discomfort with mentioning his efforts with electricity & electrical grid is dismal. Eritrea had the capacity to generate about 30 MW of electricity at independence. With the addition of 80 MW at Hirgigo, Eritrea’s functioning capacity at this time is only 110 MW. This was built circa mid-1990. An additional power plant was installed at Beleza, supply small amount of energy. The only work done in the last ten years was installing electrical lines in some parts of the country. Although this is positive, we could have done much more. Problem 1: At about 55 KWh per capita, Eritrea has one of the lowest electric supplies in the world. For instance, Ethiopia has been very aggressive in building its electricity supply and produces about 65 KWh of electricity per capita, which is still being expanded. 55 KWh per capita barely supplies enough light for home lighting. Developed countries have 800 to 2000 KWh per capita of electricity which is about 20 times the Eritrean capacity. o Fossil fuel (crude oil) must be imported using dwindling hard currency. o Electricity prices are expensive due to above reasons thus Eritrean industries that must consume electricity is that much less competitive. The average Eritrean, esp. those rural areas, can’t afford electricity. o No efforts have been made to exploit alternative energy such as solar, wind and the hugely potential geothermal power. Problem 3: Eritrea’s electricity supply and grid have only one source of electric supply, the Hirgigo Electric Power Plant. Risk management doesn’t exist in PIA’s mind but if some tsunami, natural or man-made, was to befall Hirgigo, Eritrea would go into an entire black-out for some 5 – 7 years until the same or alternative facility is rebuilt. That is putting all your eggs in one basket. The best comparison is Ethiopia. The Tigrai region alone, which has similar population as Eritrea, is now producing 300 MW (nearly 3 times the entire Eritrean capacity) from Tekeze river. The Ethiopian electricity grid is fed from some dozen electrical sources (Koka, Finche, Gibe I & II, Takeze, etc…) which accounts for various risks. Ethiopia has also been active building ambitious wind power under the help of the French government. Ethiopia’s effort can only be said to an ‘A’. Some alleviation of water for Massawa & Keren. Most other towns still have no water source or have water supply problems relating to lack of water piping. European Union financed rural potable projects that resulted in drilling hundreds of wells in the countryside. What these reports fail to tell its audience is that the rural population must still travel a distance to access clean water. Urban population still doesn’t have access to piped water into individual homes. The urban population is at the mercy of the owner of water tankers that visit areas at their whims at unscheduled times. Urban population is left wondering when the next water tanker is coming. This is the pride and joy, and countless PIA propaganda. After all, like all Pharaohs, he wants to immortalize himself in his Great Pyramids. In reality, it is like a failing student who insists that he has passed one subject. But roads alone don’t constitute a working economy or nation. Plenty of work has been done over the last twenty years in this area. Most are reconstruction or expansion of Italian built roads. One can drive from Massawa to Tessenei on smooth road. The Massawa-Asseb and alterative roads to Sheeb, Afabet and Keren are encouraging. It is to be remembered that most of these projects were either finished or well-underway in the G15 era. Most of the work in 2002-2011 is simply finishing up what was started in G15 era. Roads are as good as the activities that they serve. What is the point of wasting valuable resources if roads are sitting idle? In the meantime, it costs plenty to keep them maintained regardless of traffic, lest they quickly begin to crumble, esp. under heavy sun and rain. Total asphalt road projects are less than 700 km in 20 years, which works out to 35 kilometers a year. This is not impressive performance. PIA has focused on this area because it generates hard currency whenever, mostly, Diaspora Eritreans call to Eritrea. Most of the landlines are located in Asmara. The other enabling factor is cellular phone technology which has substantially reduced the infrastructural cost of establishing cell phone service. Still, Eritrea is one of the last countries to introduce cell phone. Even Somalia, despite having NO central government, introduced cell phone service before Eritrea. 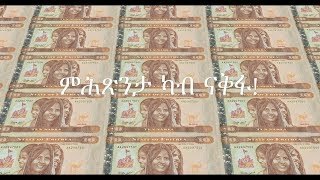 ERITEL’s investment of Nfa 1.6 Billion, equivalent to $40 Million dollars is small investment over 20 years, i.e. $2 million-a-year is small change in today’s world. Internet service is so slow that one can go to a washroom and have a cup coffee in-between flipping the most basic webpage. Eritrea’s bandwidth is extremely low. It is said that PIA wants to keep internet service to the minimum in order to claim that Eritrea is connect to the world and yet ensuring that NOT enough bandwidth is available to allow the public to access Diaspora opposition websites. With the ‘Awakening of Arab Countries’, and facilititated by twitter and facebook, PIA’s reluctance to expand internet service will mean that Eritrea will remain isolated from the rest of the world. o 2001 – 2011 (F) – Extended the same berth to expand its facility. o 20 years to upgrade and expand one berth (out of five berths available) is pathetic performance. o 1991 -2001 (C+) – as it was being used by Ethiopia for a better part of this part it was being properly maintained. Many shipping companies, including P&O and other had asked to use Asseb Port as container facility. o This brainchild of G15 project was designed to bring sea cargo unloaded at the Port of Massawa directly onto trucks or trains and shipped directly to Mai Atal for customs’ processing. This would have left the City of Massawa strictly for other commercial activities. In addition, salt erosion wouldn’t affect cargos as much if stored at Mai Atal. Asmara Airport: no infrastructure upgrade has been done other than the renovation of the airport waiting area. Massawa Airport: built during the 1991 – 2001 period, it was not constructed to international standards. It was supposed to be an alternative airport to Asmara Airport during unfavourable weather in Asmara. Unfortunately, this airport is hardly used except as private airport for PIA, some special guests and infrequent domestic flights. o MINIMUM EXPECTATION: being located at strategic location, it could have been used as regional refuelling centre among other things. Asmara Airport, being located at high altitude, is not ideal for increasing carrying capacities of planes. Asseb Airport: no infrastructure upgrade has been done in 20 years and in fact has deteriorated over the same period due to lack of use. awa Airport: built during the 1991 – 2001 G15 era, this was primarily constructed to accommodate agro-industry in the area. The last ten years, it primary function is as a private airport for PIA. It has no other useful purpose except some test runs for Eritrean Air force. Regional Airports: used for infrequent domestic flights. The train line between Asmara and Massawa was reconstructed in mid-1990 as a manifestation of the rebirth of Eritrea. Significant amounts of capital and labor were invested for unknown purpose. Ostensibly, we were told that it would attract tourism, but 15 years later this claim hasn’t materialized. Currently, it accommodates about 200 tourists every year paying some $25/person per trip. A small restaurant has more income than this mega-project. The reconstructed train line is based on old specifications when track width was only 90 centimeters. Current standards require at least 105 centimeters to accommodate cargo containers. This would mean having to rebuild Eritrea’s existing train tracks and expanding many tunnels along the route. Reconstructing the train line was more about showmanship, and keep busy project, than any serious effort to make it productive. The only major sewer system in Eritrea is found in Asmara and most of the key infrastructure was built under the Italians. This infrastructure is 100 years old and requires major repairs. Although the G-15 had upgraded some of the infrastructure with the assistance of the French government, significant work remains to be done. In addition, there is no sewage treatment plant and is simply dumped into open space around Kushet. This is a health hazard. Only a small portion of the population uses cooking gas for its energy needs. This relieves the need for kerosene which is used by the vast majority of the population. Although there is always shortage of cooking gas, CHRONIC SHORTAGES always result in failing grades, G15 built a very useful GAS STORAGE DEPOT IN MASSAWA. For this reason, this effort has been graded just above failure. Due to deforestation, the vast majority of the Eritrean population derives its energy for cooking from kerosene furnaces. Eritrea has the dubious record of being the most expensive place to buy gasoline and gas oil. These are not just used in transportation but also in furnaces and other industries used to produce breads and other products. Gasoline price is Nfa 38 per litre, which means that for an average car it costs Nfa3.80 per kilometre. A return trip to Massawa now costs Nfa 800 plus kilometres driven around inside Asmara. Expensive inputs make Eritrean industries uncompetitive and unaffordable to ordinary Eritreans. Expensive transportation means that rural population isn’t able to sell its produces in towns and cities where they can command higher prices. Expensive public transportation means that rural area students can’t commute on buses. Eritrea’s performance in this area has been total dismal. Inflation has skyrocketed, economic growth has slowed down to snail’s pace, if not stopped, private industry has been destroyed, and by any other measure the economy is state of comma. Compared to Ethiopian colonial era, inflation has obliterated the average Eritrean, esp. those living in urban centres. Rent had gone up by ten times or more in 1991 – 1993. Although these are figures from international sources, these numbers may be lower by 10 to 15% based on food prices. These are probably somewhat inflated numbers. During his most recent interview, PIA told us that “unlike China” a steady 2% growth is better than a fluctuating 7% or 10%. Which school did PIA learn his math? Eritrea’s main source of hard currency is remittances from Diaspora Eritreans, amounting to about $500 Million per year. The country imports approximately the same amount every year. However, in the last five years, the government has been reducing imports in order to use the hard currency savings for covert/illicit activities and for stashing away for rainy days of its leader and family at Fubon Bank of Hong Kong. ERITREAN CENTRAL BANK, which is supposed to be managing the country’s foreign currency is left in the dark and is instead managed by PIA/Hagos Kisha managed offshore entities such as EriCommerce and offshore accounts. These are equivalent to two weeks of Eritrea’s import needs. However, in reality, significantly more hard currency is stashed away under PIA and his son’s names that could have been better used in Eritrea but is being used by Chinese companies. Instead of using Central Bank as the manager of Eritrean hard currency, Beilul Financials Co. handles all the hard currency inside and outside the country which is then funnelled to PIA owned EriCommerce in London and then finally transferred to Fubon Bank in Hong Kong. In an effort to stem this illegal activity, the US government has been raiding PIA’s outlets in Washington DC and most recently in Seattle. Despite PIA’s claim that Eritrea is free from external debt, this can not be confirmed as government finances, like everything, is a secret. This is one of those of ‘trust me’ talk that Eritreans are tired of. Eritrea owes over $700 Million to foreign lenders, mostly to IMF. PIA is in default of payment with Kuwaiti Oil Corporation for oil purchases bought on credit. PIA has soft loans from the Chinese government for various investment activities including for mining. The Eritrean government doesn’t have revenues because it has closed down all economic activities in the country. All profits, which would have been source of tax income, are now siphoned off by PFDJ companies. PFDJ has lent over $5 Billion to the Eritrean government. According to Mr. Hagos Ghebrehiwot (Kisha), Finance Head of PFDJ, PFDJ had lent the Eritrean government $400 Million dollars between 1999 and 2001. This is like robbing the whole country to lend to the government, and then claiming to own it because the government is penniless. As stated in his latest interview as well as his consistent theme throughout the last twenty years, PIA tells Eritreans that his effort to ensure that there is equitable growth throughout Eritrea. In reality, PIA’s equitable growth actually means equitable misery and poverty. The standard of living in Eritrea has fallen immensely throughout PIA’s 20 years reign of power. The rich are still rich, but the average Eritrean is worse off today than ten years ago. As PIA stated in his recent interview the salaries paid to civil servants, warsai yekealo and all others can’t even pay the most basic necessities of life. Housing: 800 – 3,000 Nfa/month for most basic housing facilities. This doesn’t include meat, diary products or fruits that make up most of the balanced diets. No need to continue to clothing, health, transportation and other basic necessities which 99% can barely afford out of their incomes. THE BIGGEST LOSERS IN THIS DECLINE OF STANDARDS OF LIVING are the very same group of people who PIA claims to be working for – rural population and the underprivileged. Average salary in Eritrea is $25/month, which doesn’t buy one a cup of coffee at Starbucks for a week here in the West. The most important determinant of the health of a nation is the ability to generate jobs. Without jobs, hence stable income, families, which are the core foundation of a nation, can’t lead a normal family life. 80% of the population is either a farmer or pastoralist. With expanding population and dwindling areas for farming and pastures, it is becoming more difficult for the rural population to maintain even its subsistence living. Ideally, the government should have pursued job creation policies that allow the rural population to migrate to urban areas where other forms of employments are available. Instead, this regime has shut down the most important sector for employment, construction. Since 2007, all forms of private construction have come to halt. Some token PFDJ projects are still underway but are constructed using Warsai-Yikealo slaves. All Eritreans between the age of 18 and 50 years can NOT work LEGALLY because they should be serving the regime for nearly slavery salaries – as PIA himself acknowledged during his most recent interview. Real unemployment in Eritrea is near 90%. Other worst performing nations (third world countries) have some 50 to 60 % unemployment. But another 10 – 20 % may be accounted for in the underground economy. This excludes the rural population where in most developing countries most are underemployed. Although some efforts were made to encourage the private sector between 1991 and 2001, PIA’s loath for any private sector, hence private profit, has led to the total demise of the private sector. There are probably a couple of Eritrean private companies that are allowed to operate in the country. One is the Asmara Textile Factory (Baratolo) which has been manufacturing and exporting shirts and other garments. The only reason Baratolo is allowed to operate is because it is owned by Italian investors, whom PIA had been attempting to attract for a number of years without much results. Private sector and private profit is needed to expand Eritrea’s production capacity. Although the vast majority are traders, as witnessed in Eritrea, many expand into other production activities as they acquire capital through profit, acquire know-how and in order to stave off competition. Construction Companies: 90% of them had their licences revoked. The other 9.99% can’t undertake projects for various reasons. Most of the state industries under the Ethiopian regime were privatized. Under PFDJ, state industries are really “party-owned” industries, which have proven themselves to be total failures. It took twenty years to finally establish a cement factory able to produce 1,000 MT ton in TIO. During the same time, Ethiopia had installed some 3 or 4 major cement factories, including in Tigrai, although it isn’t endowed with the same quality and quantity of raw materials as Eritrea. Eritrean private investors had requested to invest in cement factory in Tio some eight years ago and were flatly refused. No room for private Eritrean investment! At least, it is better something is done than stashing away fortunes in Chinese banks. Construction Companies: Housing construction has come to sudden stop and thus most of these companies engage in road or other infrastructure projects. They have guaranteed profits because the profits go to the party then eventually into the pockets of His Highness only. Manufacturing Companies: the marble company, the brake, gas cylinder and others are all dead or zombies. Coca-cola was shut down for many months and mostly opens for tourist season only. The only profitable one is the beer factory which takes up so much hard currency that it was closed down for few months. Trading Companies: the regime derives the most profit is now lately shared with the army officers who must kept corrupt and happy to maintain their loyalty. At the very least, one would expect that the tourism industry would have taken off in the last twenty years. PIA’s efforts in this area are total dismal. There were a number of efforts in early part of our independence to develop the Dahlak Islands as well other projects. Nothing has materialized to date. Eritrea’s tourism is derived mostly from Diaspora Eritreans that “flock” to Eritrea every year. The number of tourists visiting Eritrea, some 50,000 to 100,000 Eritreans, is not supported by facts. ERITREA DOESN’T RECEIVE MORE THAN 25,000 VISITORS EVERY YEAR. Let us a look at the rough estimates. Most of the tourists are Eritrean families visiting during the summer days after schools are closed. This segment may account for about 75% of the “tourists”. In a typical year, tourists begin to arrive at the beginning of June and up-to end of July as most plan to stay between 1-month to 3-months. This means that most tourists arrive within the 60-days in June and July, or eight (8) weeks. As 99% of the ‘tourists’ arrive by plane, we can determine the number of passengers processed through Asmara Airport. During the peak season, there are about 10 flights a week in Asmara, with each flight carrying an average of 200 passengers. This works out to about 2,000 passengers per week at its peak season. Based on the above estimates, the summer tourists are 16,000 people (8 weeks * 2,000 tourists a week). Add another 9,000 people that come to Eritrea during other times of the year and one is left with only 25,000 people/tourists visiting Eritrea every year. Despite having one of the richer historical sites in the world, PIA hasn’t done a thing to develop historical sites such as Adulis & Zula ports, Kohaito and Belew Kelew. If there is no international funding, it is guaranteed that PIA won’t spend a dime on anything in the country. UNESCO had granted some monies to research and to restore some of the historical sites but these historical sites remain low priority to PIA. Eritrea is our country and love it but there is no denying that it is one of the more boring places in the world to visit unless one is traveling to Eritrea to visit family and friends. Most of the hotels were built during the G15 era. The only form of recreation is either going to a bar or idle around on undeveloped beaches. Some dozen international mining companies are exploring for various types of resources. Nevsun has begun producing gold, which Bisha mines is estimated to yield about 1 million ounces from surface mining alone. Production base metals won’t begin for another 3 years. It is no secret that Eritrea is rich in mining. The fact that Eritrea has finally began to exploit its natural resources IS NOT an example of PIA’s success but the fact that the country may move forward, albeit painfully, DESPITE PIA’s disastrous policies. PIA is apprehensive with Western companies which PIA feels are instruments of their governments. PIA has allowed these companies into Eritrea because there was no other choice. PIA would have preferred Chinese companies to exploit Eritrea’s natural resources because China doesn’t care about dictatorship or human rights. China is dictators’ dream partner. PIA has Chinese mining companies, such as Beijing Sinoma Mining Investment Limited, waiting in the wing to take over Nevsun or any other Western projects if they begin to put influence on him. Eritrea won’t earn more than $2 billion in the next 10 years, which works out to $200 Million per year. This amount doesn’t even begin to cover the current trade deficits of the country. If oil and food prices continue to climb as they have in the last 5 years, an extra $200 million will only help the country to cover some of its imports. In fact, Eritrea won’t a dime for the next two years as initial revenues are used to cover start-up costs and loans obtained to buy shares. After a couple of years, the extra hard currency will be stashed in Fubon Bank of Hong Kong. There is no need for Western companies to mine these natural resources. They are readily available on the surface and could have been mined and sold in large quantities. The entire highland of Eritrea sits on this valuable deposit. Although there is small production of marble and granite in Eritrea, in reality, Eritrea imports marble and granite from Italy. According to FAO, Eritrea has the potential to harvest up to $500 Million worth of fish. This is a rich and renewable wealth that Yemen has taken advantage of while the PIA regime has totally neglected claiming that thorough study is needed. TWENTY YEARS TO CONDUCT FEASIBILITY STUDY on the sustainable yield of harvesting fish is totally ridiculous. After totally discourage all forms of artisan fishing by the inhabitants of the coastal town, closing down major private commercial fishing businesses (such Red Sea Fisheries), it is now rare to find fish dishes in Massawa. This is not just embarrassing but a deliberate effort to kill the Eritrean economy and nation. Under the leadership of Min. Petros Solomon, the infrastructure to utilize our fishing sector had began to take strong foothold by allowing artisan farmers to buy on loan fishing boats from boat manufacturing facility in Massawa, establishing fish products distribution centers around the country and, as first step, exporting exotic fish. Saudi Fisheries had proposed a $25 Million state-of-the-art fish processing plant in Asseb. Nobody knows why PIA rejected it. Then after getting rid of Min. Petros, PIA called his Ministerial hit-man, Min. Ahmed Haji Ali, who has proven to engage in destroying every ministry he was assigned to. Under Min. Ahmed, the Ministry of Tourism and then the Ministry of Marine Resources were grazed to the ground. Now, Min. Ahmed has been called to do the same in the Min. of Mines & Energy. NOTE: It is not that there is absolutely no fishing taking place in Eritrea. South Korean Fishing companies have been contracted out to fish and remit the licence fees and fishing rights to PFDJ owned company in London, EriCommerce. The Italians had major salt production activities at Salina (Massawa) and other locations. Even Eritrea had begun to export salt in small quantities in late 1990’s. At about 30 tonne of salt per hectare per year, Eritrea has the potential to produce over 1 Million tonne of salt per year along its 1,000 km coastline with its plenty of sun. At current salt prices of $150 per ton (various types of salt); Eritrea is foregoing at least $150 Million of export revenues every year with minimum capital. This is a renewal natural resource that is there for the taking. Eritrea is strategically located in the Red Sea, which is the world’s important water route connecting the Indian Ocean to the Mediterranean Sea and beyond to the Atlantic Ocean. Shipping service, such as bunkering and other activities, could have been established to earn valuable hard currency. PIA had spent over a year about 5 years ago working on his latest hobby, what to do with Massawa while hiding there. So he proceeded to graze down historic buildings along the waterfront inside Massawa. Earlier, PIA removed everything from the naval base thinking that he can just start Free Port. There is no feasibility study but just Engineer PIA’s ultimate wisdom. The number one victim of this hoax is Dr. Araia, who has now been moved to Port Authority. For PIA, every adventure is worth only few weeks of warm thoughts which then fizzles out quickly. Port Sudan had experimented with Free Port but hasn’t had any success yet. Aden in Yemen had a more aggressive campaign to start Free Port with the assistance of international businesses. There were major interests among international investors for Eritrea’s Free Port area, including a Norwegian company which had submitted a serious proposal. At the last minute, PIA rejected the proposal claiming the Chinese will build it. In other words, PIA doesn’t want any Western based companies which will ask him to be accountable to his people. In reality, the Chinese haven’t invested in any turnkey projects, i.e. build and manage projects. Although the business of Free Port has existed for many centuries, it is Dubai which has taken this activity to much higher prominence. But Dubai is adept at attracting capital and expertise from abroad. In Eritrea, PIA believes that all the capital and expertise (self-sufficiency) must come from within, and yet Eritrea has one of the lowest capital stock and least expertise. The outcome can only be just daydreaming about free port. Many international companies had asked PIA to use the Asseb port facility as container port. Others had asked to rent the Asseb refinery to meet world’s increased demand for refined oil. For unknown reasons, PIA has refused. The first Eritrean airline was established by private Eritreans soon after independence. It was out of business within two years. In early 2001, Eritrean Airlines was reborn under the regime’s control in an effort to fill in the gap created by the absence of the Ethiopian Airlines and to take advantage of the vast number o skilled airline technicians and employees expelled from Ethiopia, and ex-Ethiopian Airlines pilots living in the US. Just as it was beginning to organize itself, the head of the Eritrean Airlines, Captain Asres was unceremoniously dumped and replaced by a PFDJ lackey that eventually grazed the airline to the ground. There is an attempt to revive Eritrean Airlines through Nasair, which had been flying domestically but is now expanding flights to regional areas. Will its fate be any different that the two airlines that failed in the last twenty years? PFDJ owns a couple of cargo ships that still remain small time operations. Despite not having direct access to port, Ethiopian Shipping Lines continues to outperform PFDJ shipping activities. That is an embarrassment. Trans-Horn Trucking Company was established under the ambitious plans to become the primary carrier in the East/Horn of Africa. Nothing wrong with ambitions, which included serving the trucking needs of Ethiopian, Sudanese, Kenyan, Somalian, Djiboutian, Ugandan and Rwandese markets. Domestic trucking is almost negligible due to dormant economy. The only trucking business (no bussing) is shifting poor Warsai Yikealo from one area to another. City transportation, including taxis and buses, is suffering through over-crowding and exorbitant prices due to high fuel and maintenance costs. Inter-city transportation serves only the major cities and most of the rural population doesn’t have access to public transportation, where buses are invariably full before leaving for their destination. What export? Eritrea’s export is less than $40 million, which has fallen from its peak of $85 Million about a decade ago. The export of gold should increase exports by another $60 million. Nevsun recently announced that it had already produced 105,000 ounces of gold in about 5 month period. 2. Foreign investors in Eritrea or major foreign buyers, esp. Western ones, will mean external influence that will pressure PIA to reform for their own personal interest. To keep the West out, it must make Eritrea unattractive to it. This is called the poison pill strategy. To put this in perspective, Eritrea is bleeding hard currency and thus explains why PIA has to put the entire country in an induced comma to minimize the bleeding. The purchase of fuel alone, at 5,000 barrels-a-day at $USD 100 per barrel alone drains approximately $180 Million per year. Every $10 per barrel increase in crude prices means an extra $20 Million that PIA must pay. It is to be noted that the biggest consumer of fuel is the Hirgigo Electric Power Station. There is a pattern emerging in Eritrean development efforts of the last twenty years in which PIA tries to take credit for projects wholly or substantially funded and implemented by international organizations. In reality, PIA spends less than 5% of the ‘nation’s’ income on health (net of capital projects). In reality, most of the hospitals built in Eritrea were funded by the World Health Organization (WHO) of the UN. Health Professionals (F): The slightest progress in the last 20 years is the establishment of Orotta School of Medicine. But it took nearly 14 years, in 2004, to commence the school (better late than never). However, many of the doctors continue to disappear. Nurses are still inadequately trained, poorly paid and overworked. Hospital & Other Health Facilities (FF): Although hospitals and clinics have been opened, thanks to WHO, but these are just buildings that are not equipped with modern, if not latest, medical equipment. Most of these facilities are overcrowded with patients. Facilities have poor hygiene (imagine in hospitals). Sembel Hospital, with much higher fees has slightly better facility. Medicine (FF): Although the Azel Pharmaceutical Plant commenced producing 52 basic drugs in 2004, there are still raw material shortages. This joint venture with a Jordanian company still doesn’t begin to address the pharmaceutical needs of the country. The pharmaceutical plant is inefficient compared to modern production facilities, and no independent verification has been done on the quality of medicine produced. Nobody knows if the plant sells expired medicine under deceiving labelling. Primary Care (C-) _: which emphasizes prevention as the best means to address health in Eritrea has been one of the more successful stories. As everything else, the campaigns against malaria, AIDS and others have seen some success due to generous funding by external donors. PIA, who is always anxious to get hard currency, has allowed international health organizations to undertake their projects in Eritrea. Balanced Diet/Nutrition (FFFF): In a country where food prices have skyrocketed, the four nutritional groups are just illusory information on posters found in schools and hospals. For instance, with milk costing over Nfa 25 per litre, eggs over Nfa 6 each, fruits costing anything over 20 Nfa to 150 Nfa per kilo are unthinkable for the average Eritrean citizen (forget about rural population). Although meat is expensive, people can eat alternatives to get their protein requirements. People’s diet is heavy on carbohydrates resulting in all kinds of emerging health issues. Children are the biggest victims as they are getting less and less of the required nutrition due to falling family income. PIA’s prescription of 900 calories per day (at one of his independence speeches) is a death sentence when the minimum body requirement is over 1,700 calories per day for the most basic daily functions. But again, top PFDJ officials may be forgiven for thinking Eritrean Health system is adequate. But again PIA goes to Saudi Arabia and Qatar for treatments, Mr. Alamin M. Seid to Dubai, Mr. Zemhret Yohannes to Italy and Mr. Naizghy Kiflu to Britain and paid for by the British government. Education is not an end by itself but a means to an end. If students can’t see their future in Eritrea; if their older brothers and sisters aren’t managing their lives properly, then education becomes a chore that no one will care about. In country where the corrupt are living in comfort, those school drop-outs who become PIA informants are enjoying high living; Eritrean education means nothing to the student population. This won’t be graded because even the most banana republic has some kind of primary education program funded by international organization. I have included literacy campaigns under this heading. The various so-called colleges and technical schools are substandard, lack adequate funding for teaching equipment and teachers are inadequately trained or brought from abroad and have little connection with the students. These institutions are run by the military and their primary purpose remains to lock down the Eritrean student population. Despite being the Chancellor of the Asmara University, PIA has never attended a single convocation in its 16 years of existence, yet has attended almost all Sawa graduations. No need to say where his priorities lie! PIA’s Eritrea is about producing CERTIFICATE PROGRAM graduates which is designed to teach for immediate (here & now) PIA needs rather than to raise the standards of the educated population to world standards, esp. at a time when knowledge and technology is increasing at exponential rate. Limiting students to Certificate programs is tantamount to killing the post-secondary education system in Eritrea, and throwing back the country to middle ages. These professionals are overworked and underpaid, or paid nothing if on national service. They don’t have the resources, including teaching materials, to properly teach their students. To add insult to injury, PIA has been importing Indian and Pilipino teachers in order to satisfy his insatiable appetite for hard currency. These foreign teachers were paid by UNESCO, who then had to exchange some of their hard currency to live in Eritrea. These teachers were used to replace very capable and trained Eritrean teachers, who were mostly languishing in some useless Warsai-Yikealo project picking up stones. PIA has not built a single library since he took over power in Eritrea. A couple of new libraries were built in some cities by private donors. PIA doesn’t consider the library system as an integral part of education. At least the communists under the Ethiopian Dergue regime believed that the poor should be able to afford housing/rent, and hence nationalized and allowed the population to pay Nfa 5 or 6 a month in rent. Despite claiming to work for the poor and the underprivileged, PIA has waged war in this very same underprivileged class by raising rent beyond the income capacity of 99% of the population. The biggest victims of the absence of affordable housing are the youths who can no longer marry, settle down and lead a normal family life. A country that wastes away the youth and family life is surely on a decline to oblivion. In order to meet the needs of expanding population, PIA should have built or allowed to be built at least 10,000 affordable housing every year. At this rate, Eritrea is at least 200,000 affordable housing short after twenty years of independence. Affordable housing means that rent shouldn’t cost more than 30 to 35% of average salary. Therefore, if average salary in the country is 600 Nfa, affordable rent shouldn’t be more than Nfa 180 per month. If Ethiopian Dergue regime can do it, no reason why PIA can’t! Eritrean youth is fleeing the country at an alarming rate. Over 30,000 youths have fled the country due to endless national service and Warsai Yikealo projects. They have become our tragic stories; being sacrificed in the Sahara Desert, preyed upon by Bedouins, other African dictators and the Mediterranean Sea. Today’s youth doesn’t have the skills and is ill-equipped to survive in today’s and tomorrow’s world. They are languishing in PFDJ slavery campaigns unable to pursue the most human needs of establishing family life. They no see future for themselves and for their country. PREGNANCY among teenagers and out of wedlock has sharply increased in order to escape from endless slavery campaign, or as there is no possibility of settling with Warsai Yikealo. Women must bear their children before too late. Children are being raised without their fathers, in the homes of their grandparents as their fathers are languishing in slavery campaigns. The lack of steady family life means that youths are engaging in promiscuous activities. In turn, this has resulted in breakdown of stable family life, thus destroying the very foundation of any nation. The PIA regime is incapable of “assisting” 40,000 families per month. PIA is using funny math to pretend it is helping martyrs’ families when in reality the vast majority live in utter poverty without any form of government assistance. Min. Salma tells us that some 28,000 families received assistance to support 70,000 orphans. But this claim is also unsupported. Funny math? If true, let PIA publish his entire government budget verified by an independent Auditor General. Eritrea is one of the three largest producers of refugees in the world. PIA pretends that there are no Eritrean refugees while it actively attempts to repatriate them back to PIA Dungeons. After one flight of forced returnees, even the American government got involved to stop the government of Egypt from deporting Eritreans back to Eritrea. Ms. Elsa Chyrum, who should be awarded the Nobel Prize for Peace, has tireless worked to stop the deportation of Eritreans from Libya and other countries. The resettlement effort of returnees from Sudan was abysmal, with most going back to Sudan. The only reason that PIA paid some attention to the Eritrean refugees in Sudan was because of the G-15 influence and to receive hard currency from the UNHCR. Internally displaced Eritreans from the Ethic-Eritrea war weren’t resettled until ten years later. Compared to many parts oft the world, crime is still low in Eritrea. But to lawlessness of the court and dysfunctional legal system, crime is on the rise in the country. Bribery, embezzlement, theft, forgery, defamation, assaults and murder are on the rise. For instance the murder of two contractors/construction suppliers, Samson and Fiqre, was a mafia or gang warfare instigated by Generals Wuchu and Filipos vying over the construction business in Eritrea. Although the personal guards of these generals and their lackeys were arrested, the major culprits were not made to account for their crimes because their boss needs them. 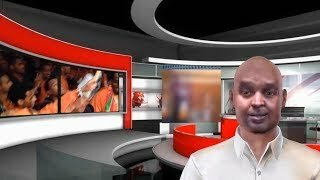 Eritrean TV shows that are geared to exposing crimes in Eritrea are simply showmanship and not designed to address the root causes: deliberate lawlessness created by the regime. Some things work in Eritrea not because of the government but despite the government. As stated elsewhere in this report, no new sporting facility has been built in Eritrea except a couple of small ones by the National Union of Eritrean Youth and Students, which instead of pursuing the interest of its constituents is busy pursuing profits for the benefit of its executives. There are only a couple of basketball courts, one decent tennis court facility, no working bowling facilities, and many other sports don’t exist. However, Eritrea is still producing some promising stars in cycling, runners and football players. Otherwise, domestic leagues, esp. football, are in shambles. PIA has killed any football enthusiasm that existed in good old days. There is no FORMAL public pension system. This is purposely designed to encourage civil servants to ‘self-finance’ their pension system through bribery. Alternatively, these civil servants can work until well into their old age as long as they obey PIA’s orders. The biggest victims of PIA’s war on pension are those who are still collecting Ethiopian era pensions. Their meagre income of Nfa 50 a month used to pay for rent and more, and is now reduced to worthlessness. Bars and coffee shops are possibly the only two working sectors in the country. PIA ensures that local beers are always available to its consumers. After all, PIA’s governing philosophy is that beer is more critical than milk. Despite the proliferation of bars in the country, it graded B because bars haven’t improved, which is the basis of grading this report card, in quality and choices. Similarly, coffee shops have done relatively well, esp. those located in central Asmara where ‘tourists’ visit. However, the quality and menu choices are still limited. Restaurants have suffered due to skyrocketing food prices. Restaurants have improved over time but still lack variety. What rule of law? The entire country is run on directives circulated from PIA himself, and is subject to change at any time. Unfortunately for the population, these directives due change on weekly basis, if not daily, and is at a loss to keep up which laws apply on any give day. Nothing is more symbolic of the regression of the rule of law in Eritrea than the establishment of Special Courts, where military officers with little or no education, let alone legal education, preside over complex issues. Defendants have no recourse as appeals aren’t allowed. As a result, justice in Special Courts is being given to the highest bidder. The judicial system is overburdened with cases, judges are ill-trained, underpaid and overworked. This has encouraged corruption within the judiciary that totally undermines justice. In today’s Eritrea, justice is a rare commodity and is, in reality, up for sale to the highest bidder. Top military officers are given free reign to intimidate personnel in the judiciary system and thus undermining due process of law and justice. Special Courts has only exacerbated an already bad system. The country doesn’t even have a CONSTITUTION, constitutional court, a well-defined appeal process (not allowed in Special Court run by Corrupt Judges). 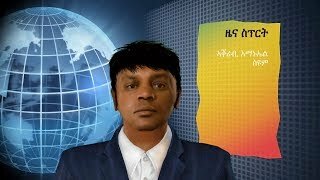 Many cases can be written pertaining to the cases of the thousands of innocent and prisoners of conscious but it is too well documented on the various Eritrean websites to repeat them. Their treatment is a living testimony of the utter absence of the rule of law in the country. Even the worse performing banana republic has some kind of law-making process except under the most oppressive regimes. LAWS are promulgated in Eritrea under the whims of PIA. If that is not the definition of banana republic supreme, nothing else is! Asmara University had a budding law faculty which fell victim to PIA’s wrath. After the closure of Asmara University for undergraduate studies, the first victim of such closure is law faculty. While most of the other faculties, such as sciences, engineering and accounting, have been transferred to ‘colleges and technical institutes’ in other parts of the country under the supervision of military officers, law faculty has been chopped permanently. A country with fractured legal system can only be hell to its people. This is war on the entire judicial system. This is also war on the pride of Eritreans who have been governed under traditional laws for centuries while it didn’t even exist in many other societies. Definition: This entry contains the percentage shares of total land area for three different types of land use: arable land - land cultivated for crops like wheat, maize, and rice that are replanted after each harvest; permanent crops - land cultivated for crops like citrus, coffee, and rubber that are not replanted after each harvest; includes land under flowering shrubs, fruit trees, nut trees, and vines, but excludes land under trees grown for wood or timber; other - any land not arable or under permanent crops; includes permanent meadows and pastures, forests and woodlands, built-on areas, roads, barren land, etc. Eritrea had reached 78% self-sufficiency in 1997-1998 than post 2001 period, which reached a peak of 45% self-sufficiency. What has PIA done the last 20 years? There are a couple of “big” projects, i.e. by Eritrean standards, designed to help Eritrea achieve “self-sufficiency”. In reality, the projects around Gulij (Gerset, Farko, etc…) and around the North Eastern escarpment of Eritrea can hardly meet Eritrea’s food needs. In fact, these “big” projects are slotted to produce cotton and other cash crops, which contradict the idea of food self-sufficiency. Tomato, sugar cane and other food production in this area are incidental to the cash crops. Some of the food production in this area, e.g. sugarcane, is simply experimental. Is PIA putting the whole country on induced socio-economic comma for his agricultural experiments? National self-sufficiency vs. farmer self-sufficiency should be clarified. If farmers are dragged away from their land to till PIA land, the farmers aren’t self-sufficient while trying to help PIA become, albeit unsuccessfully, to become self-sufficient. The servicemen farmers become dependent on the government for their survival. This means PIA’s self-sufficiency doesn’t translate to individual farmer’s self-sufficiency. National self-sufficiency projects have never worked anywhere in the world. Collective farming and Great Leap Forward and others failed with severe consequences. This is failed communist ideology abandoned three decades ago by its creators. During the G15 era, Eritrea was able to produce up to 78% of domestic food needs by 1998. Due to PIA’s war with Ethiopia and its subsequent effects, Eritrea’s food production was reduced to 27% of its domestic needs by 2001. Despite PIA’s claim to work for food security and self-sufficiency, on average Eritrea has producing 45% of its domestic needs for the last 5 years. PIA’s prescription of 900 calories per day is to adjust this data. Between 2004 and 2009, PIA has forcing peasants off their land through all forms of political trickeries, such as sending them off to Warsai Yikealo, imprisoning them with the pretext of kids who have fled the country, in order to till farmlands under Warsai Yikealo Slavery project. This had the unintended, but surely known, effect of reducing food production in Eritrea. In 2010, PIA abandoned his misguided communist ideology of State Farming and has allowed peasants to till their lands. As a result, food production in 2010 has risen slightly over the previous years. As Min. Arefaine stated, the purpose of agricultural policies and activities shouldn’t be restricted to focusing on production only but ensuring that food products are available in the market at affordable prices. In reality, PIA’s major agricultural efforts, such the Gerset and Farko Dam projects have been undertaken to grow cotton and other commercial products. But again, dictators’ manual requires that the population must be subdued through starvation. As shown throughout human history, people who are busy trying to make ends meet are least likely to rise up and demand for their rights. The rest of the discussion of affordability of food is discussed under ‘standards of living’ above. It is suffice to say that Eritrea doesn’t have agro-industry. Until recently, only the Eilabered factory, a legacy of the Italian colonizers from a century ago, was the only Eritrean company engaged in agro-industry. PFDJ had invested in banana and other agricultural ventures but abandoned it shortly after commencing the project. After all, PFDJ is just like all other traders – if no quick profit then jump ship. Shishay Animal Feed Factory has been on the decline and the fate of Alibu Animal Feed Factory will be similar. Shishay’s decline is due to lack of raw material, esp. fish bones and other additives are either too expensive or too difficult to find. The other company is Sawa-Afhimbol Agro-Industry which is currently producing tomatoes for Banatom-Alebu and Afhimbol Tomato Paste factories. It is to be remembered that Sawa-Afhimbol had lucrative dried tomato contract to supply European market some 12 years ago. But the managers of this project, who also happen to be military officers, and PFDJ totally botched up this lucrative business by employing slave labor in the form of Warsai Yikealo, who weren’t happy to work for slavery wages. Eritrea has no other major agro-industry. What livestock and dairy products? There is a severe shortage of milk and other dairy products. After all, if people’s income is too low and can’t purchase these products, there is disincentive to supply more. This is a vicious cycle that ensures chronic shortage in the country. Just to put statistics into PIA dismal performance, Eilabered Agro-Industry has 136 cows producing 1,800 liters of milk per day. In the rest of the world, even the smallest farmer would have that many cows and produced 3 times that much milk. There were some efforts to reforest Eritrea through international financing and private donors. This has been nearly abandoned in the last 5 years. Similarly, some terracing work was done to prevent soil erosion during G15 era. This effort has been largely abandoned too. Others estimate coverage as low as 6%. In other words, no improvement in twenty years – in fact, a decline!!!! Although there are a couple of old farmers’ cooperatives, PIA has not made any effort to assist farmers to form cooperatives and keep profits that normally go to merchants. Farmers would have been able to higher income enabling them to invest more and work harder. However, PIA’s regime is loath of any unions or other associations for fear that these may challenge his power. No formal Structure: Ministries and Ministers exit in name only and that all decisions are made from the “President’s Office” who dictate what, when and how each ministry must act. REGULATIONS AND DIRECTIVES are issued at a whim and hardly announced in public media. These regulations and directives changes so frequently that no one can ever be sure which ones to follow. Distribution of government administration: PIA keeps telling us that his central aim of development objectives is that there is should be balanced socio-economic across all parts of the country. In 1991, EPLF had resolved to distribute the various government ministries throughout Eritrea. For example, Agriculture (Barentu), Marine Resources (Massawa), Defence (Embatkala), Transportation & Communication (Keren), Health (Mendefera), etc… The aim was to give employment opportunities and economic activities to all parts of the country. Except Marine Resources, none of the above has taken place. Instead, symposiums are held in different parts of the country once every 5 years that lasts only two days. How much local activity can you create with that? Zilch, nada, nothing! There is a resemblance of municipal government in Asmara, but no where in other parts of the country. Municipalities are responsible for garbage collection, city road maintenance & upgrades, water services, emergency services, parks, libraries, etc… ALL THE MUNICIPAL INFRASTRUCTURES are the same that existed since the Italian era. No new improvements have been made. Garbage collection is very poor in Asmara and none existent elsewhere. The municipality hasn’t done anything to dispose garbage in an environmentally friendly and sustainable way. Infrastructures: water, electricity, etc… are addressed elsewhere in this report card. Emergency Services: Like all other services, these are available at bare minimum in Asmara only and are either non-existent or nearly non-existent outside of Asmara. These include police and fire department with a couple of fire trucks. Paramedic/ambulance services are addressed under health. Recreation Parks & Sport Facilities: No new recreation and sport facilities have been built in Eritrea except a couple under the so-called National Union of Youth and Students. Eritrea still uses the same recreation parks built by the Italians. What a shame! Although some of the new housing complexes for expatriates includes ‘green areas’, nothing has been done to build and/or upkeep them. Local Transportation (Buses & taxis): discussed under transportation. Vehicular and Pedestrian traffic: Sidewalks are in shambles in most part of Asmara and non-existent in other parts of the country. Few traffic lights have been added in Asmara (non-existent elsewhere) but they malfunction so often that they are practically useless. Potholes in City Roads & sidewalks: are hardly repaired except on the couple of major roads in Asmara. Governance normally means how transparent and accountable a government is. Transparency refers to how openly the government is run, whether decisions are inclusive, and whether the public is involved and made aware of proposed changes before they are implemented. Accountability refers to whether the government takes responsibility for its actions, acknowledges mistakes and makes necessary correction on timely basis. Transparency and accountability are intertwined. In Eritrea there is ABSOLUTELY no transparency and accountability. No one knows how laws, rules, regulations, directives and policies are promulgated. No one knows what the true government performance is, the judicial system is in shams, and no one has any clue about the national finances. The Auditor General is in name only. This is a country run at a whim of one individual, who is above the law giving the entire nation ‘high blood pressure’ while he claims to be in good health. The G-15 had engaged in a fair process through a 527 member Constituent Assembly, which included 150 PFDJ Central Committee and Rubber Stamping Parliament and others from various segments of the population, to draft a Constitution that was designed to finally put Eritrea on a path towards a truly great nation. The 1997 Constitution was approved on May 22, 1997. PIA shelved the constitution to never see the light of day. Although some may debate that it was not a perfect document in terms of the overall process and content, however, the intention was there – to put Eritrea back on a path towards Constitutional Democracy. PIA has declared himself President-for-Life which means that the idea of Eritrean Constitution is just a dream while he is in power. Only a couple of other banana republics in the world don’t have a working Constitution. If we, Eritreans, want to be ashamed of ourselves (esp. those of us in Diaspora), it is how low we have sunk to deny the outright and severe human rights violations taking place in Eritrea. Ten thousands of Eritreans have been imprisoned without due process of law. Such victims as Ms. Aster Yohannes and Ms. Senait Debesai are victims of PIA’s and Russom (Senait’s husband) personal vendetta against Min. Petros Solomon and the Debessai family (Ermias Papayo, Yonas, etc…). The crimes against the various mainstream and non-mainstream religions are too well documented to repeat here. Political freedom is non-existent in Eritrea. There was a short period in 2001 when there was a resemblance of political freedom. It was quickly suffocated and many languishing in PFDJ dungeons ten years later. The G-15 and many others, i.e. thousands of them, have fought for this freedom and paying dearly with their lives. Eritrea has been designated as one of the few most violators of religious in the world. The treatment of non-mainstream Christians is illegal by any measuring yard sticks. The true Patriarch of the Eritrean Orthodox Tewahdo Church, Abune Antonios, was removed his position illegally and put under house arrest. The church’s properties have been confiscated. The Eritrean Mufti, Sheik Al-Amin Osman Al-Amin simply takes orders from PIA. The Catholic Church is contact tug-of-war with the regime but fortunately has the Vatican to come to its side. In reality, the communist dictatorship of PIA doesn’t have any religious beliefs. However, these communists still believe in miracles that someday and somehow that they will succeed despite all their failures. Independent journalism existed for short period in 2000/2001. As PIA has repeated stated he loathes any form of journalism claiming that they are only instruments of subversive forces. In other words, the only subversive force allowed to manipulate public media is an unaccountable government. PIA has spent over $25 Million to establish and run his propaganda machine by paying in hard currency for rights to transmit through satellites and in buying the latest propaganda machineries. PIA operates on the philosophy that “LIES TOLD OFTEN ENOUGH BECOME THE TRUTH” and hasn’t spared a single dime for this venture. This was graded as N/A as it doesn’t exist anymore. It last met in early 2002. The Central and Zonal National Assemblies are defunct (i.e. they don’t exist any more). It had no function throughout its life and was a rubber stamping organization for PIA and PFDJ Central Committee (which is not defunct itself). This was graded as N/A as it doesn’t exist anymore. It last met in late 2000. Although toothless, the PFDJ Central Committee had suffered internal struggle throughout the 1990’s as the progressive forces attempted to slowly wrestle away power from PIA and diffuse it to other Committees (such as to Hidri Trust). Draft election laws and multi-party laws and then proceed to national elections before the end of 2001. Having understood that PFDJ Central Committee was NOT willing to play dead to PIA’s dictatorial design, PIA used his knack for ruthlessness to shutdown PFDJ. The PFDJ Constitution requires that the Central Committee meet every six months. The last meeting was held 11 years ago, which shows that PIA doesn’t trust EPLF tegadelties (his own comrades-in-arms), in violation of organizational laws. Even the PFDJ Executive Committee hasn’t met in years, and instead receives direct instructions from PIA. This is PIA-owned organization with the ‘executives’, such as Mr. Alamin, Mr. Yemane, Mr. Z. Yohannes and Mr. A. Jabir working for PIA, working for PIA. NOT the Woyanes, NOT the Americans, NOT the HOONGOOGOOS, NOT the ONE EYED PIRATE, but PIA himself represents ‘Clear & Present Danger” to Eritrea’s sovereignty, national security, freedom and well being. Eritrea has lost most of its islands, including Hanish Kebir and tens of other islands, to the Yemen. In addition, Yemeni artisan fishermen can fish all the way to Eritrean coastal lines. Eritrea may lose territory to Djibouti because the judges, i.e. the Qatari government, have basically cut its ties to the regime. One of the major reasons for the friction within PFDJ in 1998 to 2000 was that most veteran EPLF fighters and Central Committee felt that PIA didn’t pursue Eritrea’s national security in prudent manner. During the war with Ethiopia, PIA shunned the experienced EPLF fighters that brought Eritrea’s independence and used less experienced military personnel to fight Ethiopia. As a result, Eritrea was overran by Ethiopia, and nearly lost the Port of Asseb due to PIA’s command to withdraw but refused by local commanders who bravely defended the Asseb area. For illustration, in mid-January 1999, Min. Berakhi advised PIA that it would be better to withdraw from the Badme region and then negotiate under the American-Rwanda proposal. Min. Berakhi told PIA that Eritrea had shown its power but now it need to show its prudence. PIA accused Min. Berakhi of showing 'defeatist’ attitude. A month-and-half later, Ethiopia recaptured Badme and within hours PIA accepted the American-Rwandan Proposal. PIA’s poor political judgement, an absolute belief in ‘Might is Right’ and brutal politics has left Eritrea in the worst condition ever, which put the country’s national security at risk. In addition, rampant corruption has eroded nationalism in the country. Eritrea today is considered a pariah state. Instead of pursuing Eritrea’s long term interest, PIA is embroiled in destructive international diplomacy that has set back its national interest. UNSC Resolution 1907 – Personnel and arms embargo for its interference and destabilizing activities in Somalia. Mr. Yemane Gebreab has been designated as person of special interest by the US government. PIA is seeking the attention of the US in the most negative way, while all he wants to be its lackey. But PM Meles Zenawi has outplayed PIA in this love-triangle. This is a case of jealous mistress that wants vengeance. PFDJ lackeys had hoped that President Obama’s election would thaw relations with Eritrea. But it is the same Ms. Susan Rice that he insulted ten years earlier sitting at the helm of US diplomacy at the UN. Anthony Lake, whom PIA mistreated a decade earlier, is now the ‘unofficial’ security adviser to President Obama. With ties with Iran, the US has written off PIA. These two had never had friendly relations as UK is strongly pro-Ethiopia. Situation deteriorated when PIA kidnapped 8 British tourists in the Afar region of Ethiopia some two years ago and had to hand them over. Recently, four UK/Australian citizens have been arrested by Eritrea and remain incommunicado. PIA doesn’t believe in any form law, legality, international norms, due process of law or anything resembling that. For PIA, “might is right” except he deluded himself into thinking that he has the might. France has been tolerant towards PIA, including allowing him to attend Franco-African meetings in Paris. With PIA aggressive position towards Djibouti, France has been aggressively campaigning against PIA in UNSC meetings. Italy has been accommodating to PIA personally but has basically stopped financing projects in Eritrea. PIA has special affinity to China, although the feeling isn’t that mutual. China has sought closer relations with Ethiopia which has been giving it hundreds of projects. PIA’s interest in China is primarily to stash away his illicit funds, which may exceed over $2 billion US dollars. In addition, PIA wants China to undertake projects in Eritrea because China doesn’t care about human rights in countries that it deals with. Otherwise, China has either abstained or voted against all the resolutions condemning Eritrea. Qatar has been financing some of PIA’s projects, provided him with private plane, and is building some private projects on Dahlak Islands. But this relationship is quickly souring due to PIA’s support to Libyan dictator and Qatari’s strong the support for the opposition. PIA and Ghadafi’s relationship has been on a roller-coaster ride as Ghadafi had wanted to be accepted by the Western world. In order to re-establish his friendship with Ghadafi, PIA has been diplomatically and possibly militarily helping the regime in the hope of extracting US$ from him. Unfortunately, most of the world has frozen his bank account. Will PIA accept an IOU from a guy whose days may be numbered? In Iran, one can marry for few hours under the SIGHE LAW. The wedding between these two is just an extension of that law. It is a temporary arrangement to satisfy both sides’ immediate needs. This relationship had soured from day one when PIA lambasted the AU for failing the African people. Today, the AU is laughing at PIA and Eritrea. All statements issued under the Ministry of Affairs are prepared by PIA himself. Its ambassadors are known for talking trash at public meetings, mimicking their leader. It is fine line between talking trash as propaganda warfare and a mind that is too stressed. After all, Eritrean ambassadors and embassy staffs are given the least amount of hard currency which doesn’t allow them to act as Eritrea’s official representatives and mingle with other diplomatic communities in their assigned foreign countries. As a result, these ambassadors spend most of their time rumour mongering at Eritrean restaurants and “associations” rather than lobbying hard in their assigned countries. The most these ambassadors do is publish open letters written in Asmara under their names and conduct seminars with their fast dwindling supporters. What a pitiful bunch!